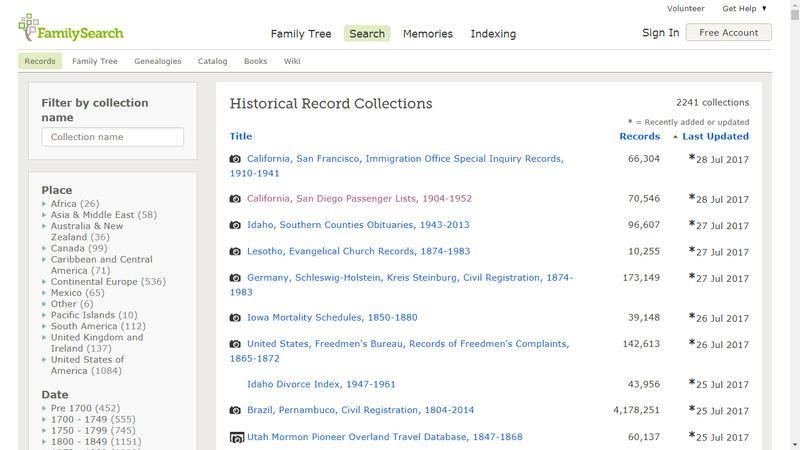 I am trying to keep up with the new and updated record collections at FamilySearch (https://familysearch.org/search/collection/list) every week. 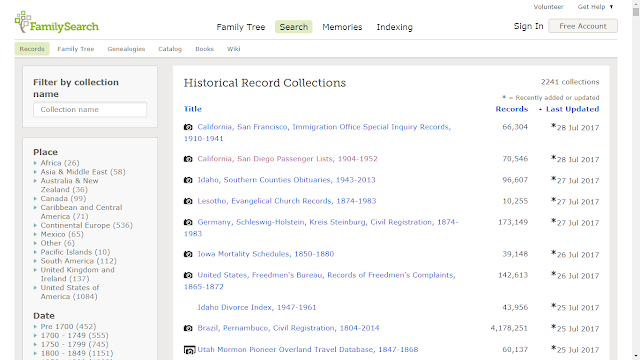 In order to select a specific record collection on FamilySearch, go to https://familysearch.org/search/collection/list and use the "Filter by collection name" feature in the upper left-hand corner. 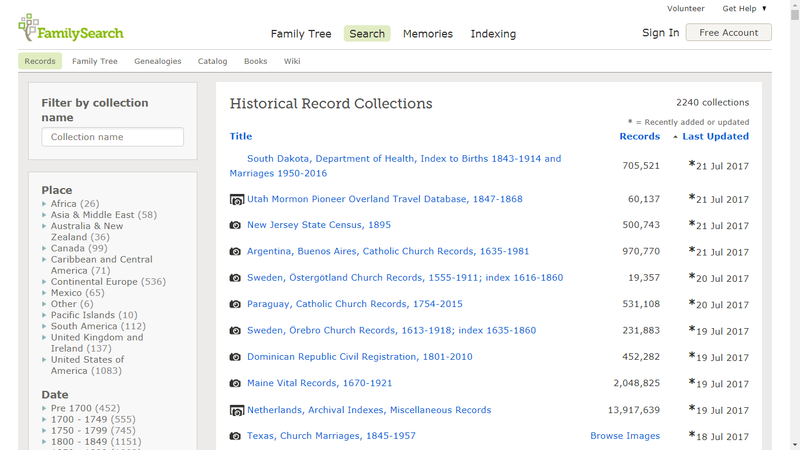 My friend, Marshall, has come up with a way to determine which collections are ADDED, DELETED or UPDATED. Thanks to Marshall for helping me out here! 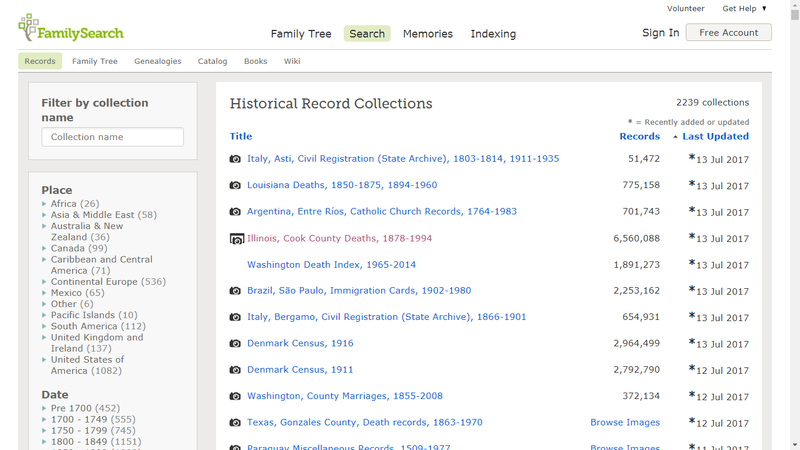 Each one of the collections listed above has a Research Wiki page (use the "Learn more" link). It would be very useful if the Wiki page for each collection listed the dates for when the collection was added as a new collection and the dates for major updates also.